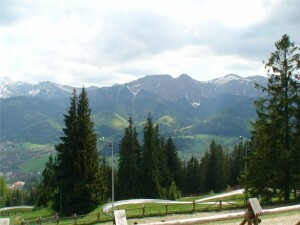 Zakopane is the most popular tourist resort in Podhale. Every year, visited by nearly 3 million people, for a population of just over 30 thousand. 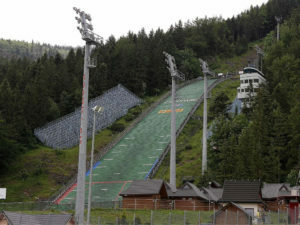 of Zakopane, a considerable challenge. Most tourists visit Zakopane because of the picturesque location between Gubałówka range and the Tatras and tourist attractions you can find here. Beautiful views of the surrounding mountains extend from virtually anywhere in Zakopane. Particularly impressive towering over the city Giewont. Another aspect that attracted to this place, it is the culture of highlanders reflected in the buildings, customs and traditions, and organized events and attractions . 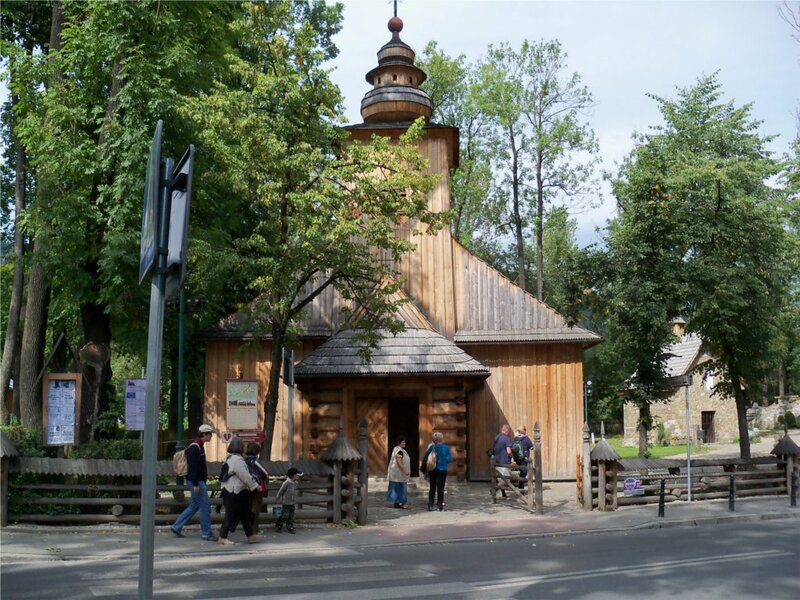 Numerous examples can be found in its located in Zakopane museums, folklore and crafts, churches and villas built in accordance with the style of Zakopane. For tourists there are organized according to traditional highland. The most important are: Festival of Mountain Folklore, Tatra Wici, Picnic Tatra, competition in the old ski equipment for the Easter Egg. Most tourists directs his first steps on the Krupówki . This is the most representative street in Zakopane and at the same time promenade.There are numerous restaurants, pubs, gift shops, organized numerous demonstrations. Sorry commercial site increasingly prevail over tradition, which unfortunately reflects on the nature of Krupowki. With Krupówki quite easy to get on Gubałówka bottom station is located across the street. Gubalowka is one of the most important attractions of Zakopane because of the amazing views that can be seen from its summit. You can see the Tatra mountains and Zakopane and a fragment of the band Babiogórski. At the top we find a slide gravitational pub for tourists, Chutes along the road at the top, rope parks. In winter also ski park attractions scooter, tobogganing and snowshoeing. Street Krupówki 10 is the Tatra Museum , the largest museum in Zakopane having many branches. Collections stored in the museum are connected with the Tatra Mountains and highland folklore and culture. The most famous branch of the museum is Villa Koliba snuggled in the Kościeliska street. In the middle of the intended use of premises, prepared exhibits furniture, furniture, handicraft items. Street Kościeliska is one of the oldest monuments in Zakopane. Wooden historic church also called the old church was built in 1847. The log construction, so characteristic wooden buildings, creates an external impression. Like the wooden interior and the altar. Next to the church is a cemetery on Pęksowy Brzyzek, where are buried meritorious for the city people. Noteworthy tombstones, most of which are specific works of art. A large part of them was created in the Hasior. Another tourist attraction is certainly Krzeptówki Sanctuary , which is now the largest church in Zakopane. Built to commemorate the assassination attempt on Pope John Paul II. The most impressive interior of the sanctuary, where most of the elements is made of wood by artisans Zakopane. Another place that is definitely worth a visit in Zakopane is GREAT rafter . Ski-jumps associated mostly tourists from ski jumping, which are held there every year. United Krokiew is also a great vantage point, which can be reached by lift, the same as for the ski jumpers. The height from which attracts divers makes a big impression, panorama of Zakopane as well. Additional attractions are also competitions that are held here as part of the summer Grand Prix. When the white fluff shrouded in Zakopane season starts on all rides and walks through the snow. First of all skiing. Despite the rather unflattering reviews Zakopane is not as weak base ski. If we add the ski stations in the neighboring towns (mainly proteins and Bukowina Tatrzańska) you can find a pretty good skiing. There are also trails for cross-country skiing. The area around Zakopane well suited to the task - there are several routes prepared for cross-country skiers. For those who like a more extreme challenge may be a good idea TOURS touring . Do not limit us then prepared pistes, we can come up with yourself where you want to roam. For tourists are also other attractions not associated with longer skis. A lot of fun can we make the ride a snowmobile through the surrounding forests. Organized sleigh rides with torches and bonfires with highlander playing in the band. You can also ride a dogsled on specially prepared routes. Being in Zakopane hard not to visit at least a few places in the Tatras. Even the most lazy you willingly choose to mountain tour. There is no need, of course, immediately think of the serious climbs, sometimes just a walk to see the beauty of the Tatra nature. Definitely worth a stroll Kościeliska Valley . 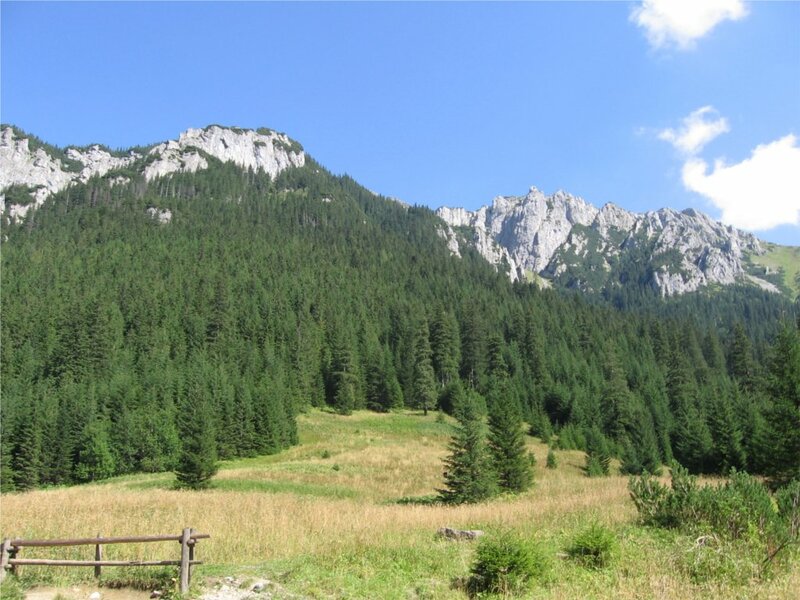 This is one of the most picturesque valleys and at the same time well-adapted to tourist traffic.At the end of the valley is a mountain hut, where you can relax while admiring panoramic views of the surrounding peaks. Access to shelter from Kir (the beginning of the valley) will take about two hours, just return. Along the way, you can also visit several caves, which is famous Kościeliska. The most popular of them are cave Mroźna. Nobody Needless to advertise tourist attractions which is the SEA EYE located in Valley Stream Fish. This place can visit several tourists during long weekends. I personally do not recommend to choose over the Sea Eye in these conditions, because the ubiquitous queues, traffic jams can discourage. However, for such views which meet at this point perhaps it is worth to suffer the crowds. Tourists who like convenience and want to see the beautiful views certainly appreciate the mountain railway leading to KASPROWY WIERCH . At the top we have a restaurant, a meteorological observatory and hiking paths diverging in the direction of Red Peaks in the other direction Świnica and further Orla Perc. 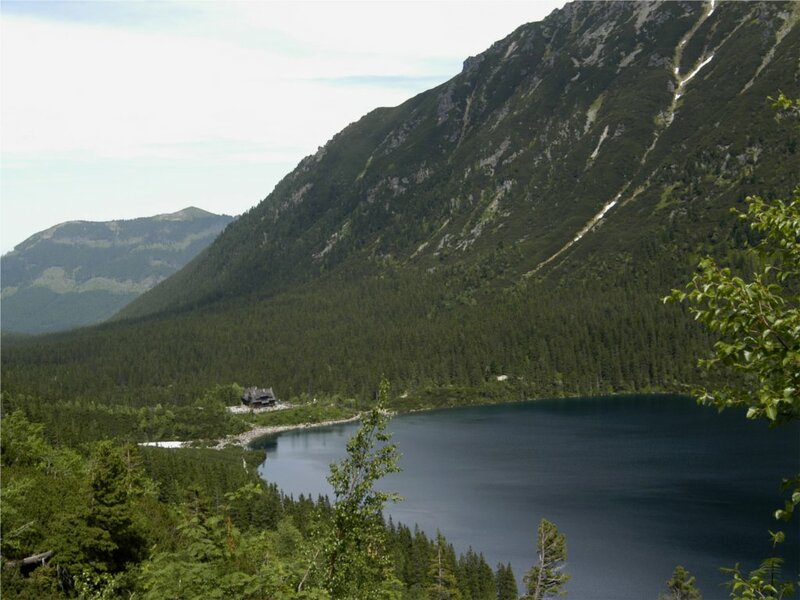 We can say that the biggest attraction in the Tatras is GIEWONT . It is one of the symbols of Zakopane, a kind of "sleeping knight" guard over the city. 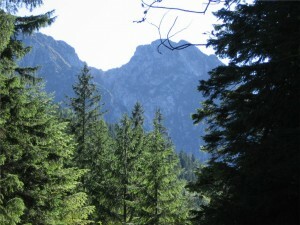 Needless to say, that despite its proximity Giewont is high and dangerous mountain peak. There happens to most fatalities in the whole Tatras. One reason is the large number of tourists, who are trying to get this up. Others that do not retain sufficient precautions. About walking in flip-flops circulate stories. Giewont and beautiful and dangerous. Photos contained on this site are protected by copyright . The prohibition of copying or reproduction of images .